Life Is F*ing Tough. In that sense that getting up every morning is a battle. That sometimes crawling out of bed is more than I can wrap my head around. It’s tough in that I have found more concrete walls to smash my head into than doors to walk through. It’s tough in that every time I turn around thinking I’ve got things a little more figured out, I find some new hurdle to bang my knees into. It’s tough in that every time I think I’m getting a little less sick, a little less “broken,” a little more normal, something else comes up and I have to start all over. It’s tough in that I spent the last four years hearing that I’m “broken” and I’m through with hearing and accepting that, but still trying to glue myself back together. So I lift. I lift to get stronger, to get more prepared for the crap the world has to load on my shoulders. 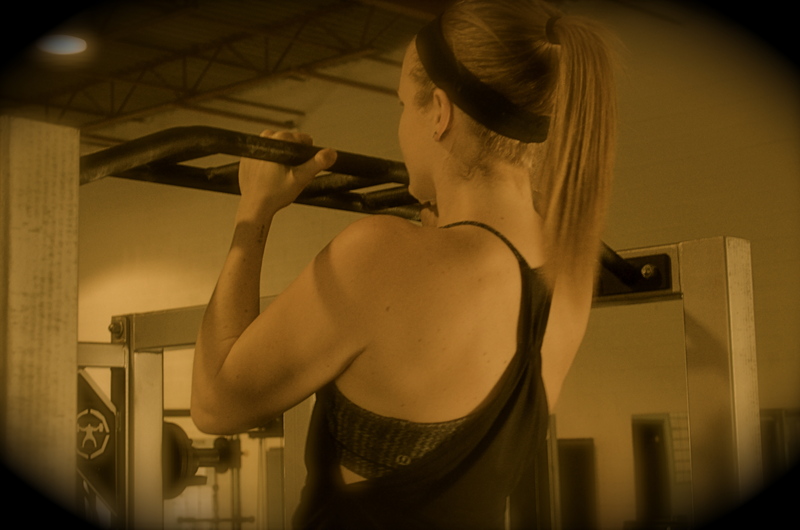 I lift to get better, to stay focused, and to stay at least a tiny bit ahead of the curve. I lift because no one expects me to, and no one is telling me to. I lift because the iron doesn’t lie, gravity doesn’t change. I lift because some days it’s the only way I know how to cope. I lift because I can. 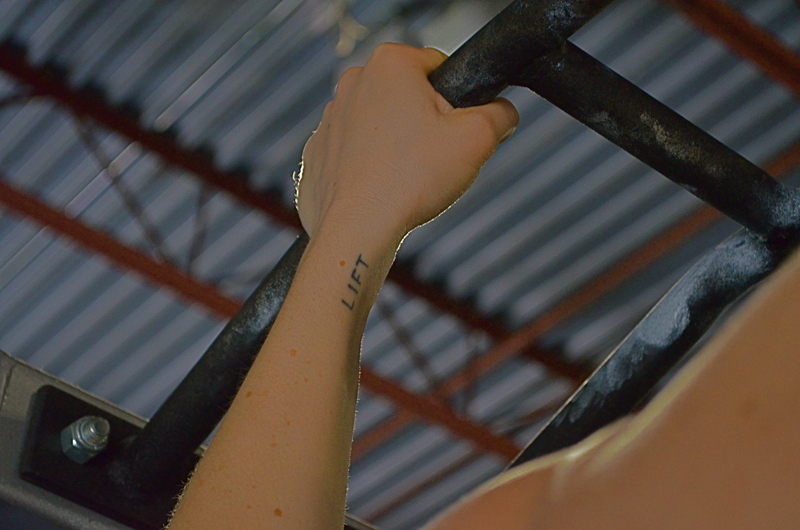 I hope to one day, maybe someday, be able to add an “ed” to the end of my LIFT. To make it all past tense, and to maybe put a “so it goes” underneath it. I hope to someday put the constant head-against-concrete smashing behind me and to simply have it as a reminder. Because I really don’t want to believe that it’s always going to be this tough. Because the little dreamer still left in me really wants to believe that somewhere, at some point down the road it gets a little easier. Until that happens, if that happens, I’m ‘lift’ing the best I know how. I’m making the most of my crazy, and doing what I can to enjoy it. I’m teaching yoga as my “job” (in quotes because honestly, I get paid to work in my pajamas teaching people how to move their bodies around on a mat – something I’d do for free) because I love it and I want to see where it takes me. I’m rattling around this big-tiny apartment with just my cat for company because I don’t want to live with anybody else right now. I’m contemplating going back to school because I don’t ever want to stop learning or divorce myself from academia; I love the challenge, the hoops, and the constant battle to prove myself capable. I’ve turned my back on this notion of joining the ‘real world’ for the sake of following my whims and passions instead, because right now I have nothing to lose. Am I trying to justify my decision? Not at all. For all you know, I really wanted it to say “LEFT” and the inept tattoo artist goofed, which is likely what I’ll tell you if you ask me in person. I’m not in the business of justifying those decisions that affect me and me alone anymore. It wasn’t very profitable. This is just my reasoning, in words on paper because I needed to remind myself that it’s not there to remind me life is tough, that fact is plenty obvious, but to remind me of what I can do about it. This entry was posted in Uncategorized and tagged LIFT, old writings. Bookmark the permalink.